Incontinence in seniors is caused by conditions such as Multiple Sclerosis and Alzheimer’s disease. As people age, changes in the body can make urinary incontinence much more likely. A recent cohort study found it to affect more than a fifth of people aged over 85 years. 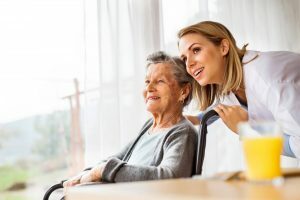 Advanced practitioner Annette Woodward, a member of the LUTS group, asserts, “continence problems in seniors are under-reported, whether because of embarrassment, the belief that it is inevitable or unawareness that help is available”. Are you taking care of an incontinent elderly individual? Read our blog for tips on choosing toilet aids. What Factors Contribute Towards This? Despite efforts over the past 20 years to educate the public about bladder health, many people in the UK believe incontinence to be a normal part of aging. Many seniors feel that incontinence is a “normal part of ageing”, and that they shouldn’t have to talk about it. In 2004, in-depth interviews were conducted with 20 people aged over 65. Incontinence was viewed as an inevitable aspect of ageing and something that should just be accepted. The author of the book “Who Cares?” asserts, “there are misconceptions that incontinence is an inevitable- or acceptable- part of ageing when in fact in can be easily assessed and treated”. Dr Lisa Rosenberg, geriatric healthcare specialist, asserts “Incontinence is a common part of aging but it is never normal. Because it is so common, people think they should accept it. However, we can actually cure most of those people”. Health professionals can even contribute to older people’s normalisation of incontinence by their own attitudes to urinary incontinence. 45% percent of sufferers admit that incontinence affects their happiness and can leave them feeling embarrassed in their body. Incontinence can impede relationships, decrease sexual function and increase mortality. It can be a humiliating disorder for seniors, causing stress, limitation and often depression. 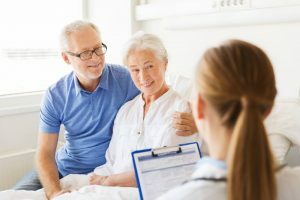 It is suggested that older men may be the most reluctant to talk about urinary incontinence, which may be due to association of leakage and female gender. In a recent study, men disclosed that they felt advertising frequently features women only. Women in particular tend to express concerns about cleanliness and personal hygiene, feeling that their identity may be affected if they tell others about their incontinence. Evidence from interviews has shown loss of control over bodily functions being feared as the threshold for loss of independence. 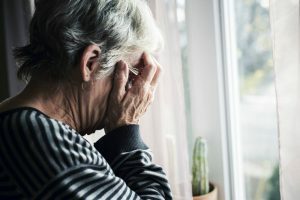 Heather Gilmour, an author and senior analyst in Canada’s health analysis division asserts that seniors who reported having incontinence were about 50 per cent more likely to report loneliness than those who didn’t suffer from the condition. It is imperative that continence education is assessed and inadequacies are addressed to improve patient care. Incontinence is often a taboo topic, and not something that many seniors feel comfortable discussing over coffee. The 2001 report “National Service Framework for Older People” highlighted a need for continence services to be integrated across primary, acute and specialist care. Education promotes early and more effective management, and it is important for seniors to be aware of the symptoms of incontinence. 18% of UK patients say that an unawareness of the need to see a Doctor when they should is the reason why they don’t visit one. A 2004 study exploring the lives of seniors with incontinence found participants to described self-imposed daily routines. Many seniors admitted to avoiding many social situations, careful planning and knowing where the nearest toilet is. Many women explained they were comfortable with pads due to experience with menstrual pads, whereas men were insistent on using other protective methods. This evidence highlights the problem that older people would rather let their social lives suffer than take advice from an expert. More is needed to ensure seniors are aware of the different products and treatment methods available to them. Our Product Guides section provides guidance on the different options for those with incontinence. Many organisations are trying to encourage seniors to step forward and seek treatment or find protective products. GP Dr Sarah Jarvis and Always Discreet Ambassador aims to help remove the stigma around bladder sensitivity. The Depend campaign, Underwareness hopes to reduce the stigma attached to adult incontinence products. Our forum is there to encourage sufferers to talk to others about incontinence. Post a question now to seek expert answers.